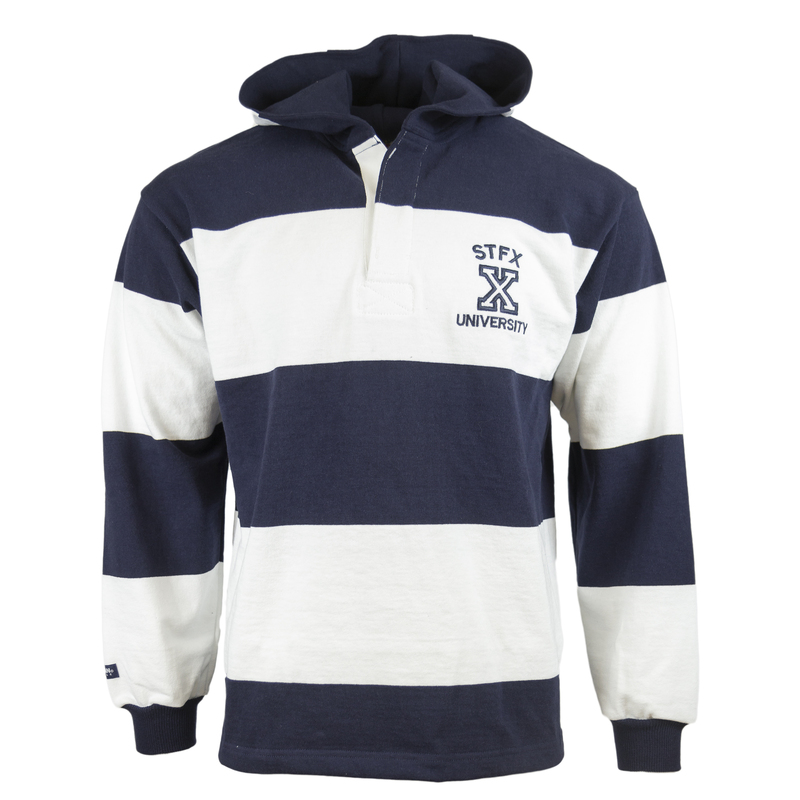 Navy and white striped hooded rugby shirt. Embroidered text “STFX University” and athletic “X” on left chest. 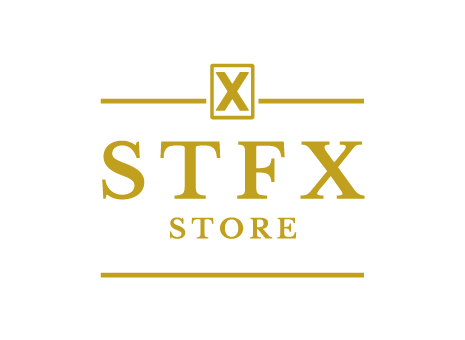 “STFX” embroidered on the edge of the hood.